Amazon’s digital personal assistant, Alexa, is great at keeping users updated with a variety of news outlets, live weather reports, morning alarm utilities and digital schedule managers such as Google Calendar. Alexa is also able to stream music or podcasts from third party applications such as Spotify or Amazon Music on command. While Amazon Echos and Echo Dots have their own built-in speakers, the audio output can also be physically routed to external speakers with an auxiliary cable or digitally with wifi-integration. Furthermore, it is possible to use Alexa as a central hub for wifi-enabled devices. For example, saying “Alexa, turn on the (Insert Device Name Here)” will toggle on any device that is compatible with Alexa’s “Smart Home Skill API” through the directive “TurnOnRequest.” This is applicable for various exciting technological innovations including smart televisions, smart lighting fixtures, personal computers, home security systems and digital entertainment systems. In addition to voice recognition input, Alexa’s capabilities are fully integrated into the Amazon Alexa app for iOS and Android devices. Using Alexa as a centralized node to process data and delegate tasks between various wifi-enabled devices paves the way for future innovations in smart home utilities, such as robot butlers or the next generation of AI personal assistants. However, as Amazon Echos, Echo Dots and other smart devices contribute to an increasingly complex internet-of-things ecosystem, cybersecurity becomes increasingly important. If cybercriminals obtain full access to Alexa, they can potentially use it to illegally spy on private conversations for fraud or blackmailing. Due to the complexity of its voice recognition routine and algorithm, Amazon Echos, Echo Dots, and other Alexa devices do not have enough processing power to analyze the input locally, so Alexa must rely on Amazon’s cloud-based computations. Therefore, Alexa must first process a voice recording and encrypt it before sending it to Amazon’s centralized servers for decryption and analysis through the user’s wifi router and internet modem. After Amazon’s servers analyze the voice input and determine the user’s commands, it delegates encrypted tasks back to the user’s Alexa device. 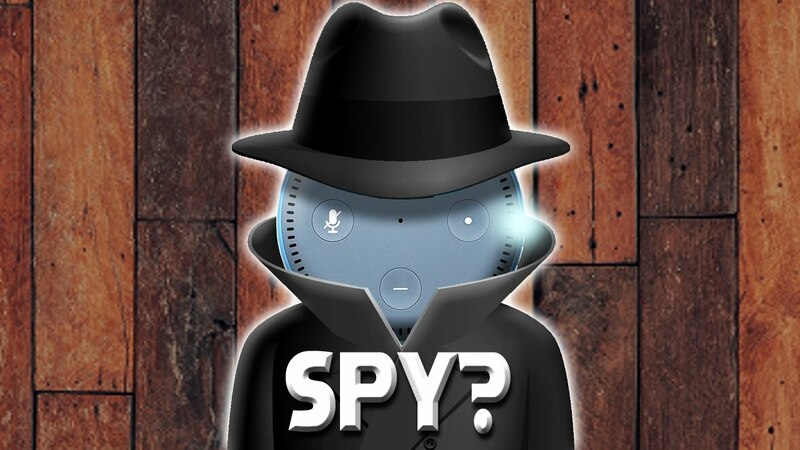 Alexa then decrypts the task, plays an audio output like “okay” or “playing Spotify” to convey its understanding of the user’s command, and executes the command to play music from the user’s Spotify Library. Several concerns lie within Alexa’s cloud-based voice recognition analysis algorithm. If Amazon’s servers that maintain Alexa’s functions somehow crash or burn down, Alexa devices around the world can become virtually disabled until servers are fixed. Furthermore, it is unknown how long recorded voice commands stay in Alexa’s cloud-based database. If intercepted and decrypted, they can be used by cybercriminals to spy on or blackmail Alexa users.